Gemstone Planets - Measure the Distances of Space! Yes! Our Solar System Jewelry series has been featured by BuzzFeed, NPR's Science Friday, MAKE:, NASA, and The Planetary Society! An Awesome gift for Students, Teachers, and Space Geeks. 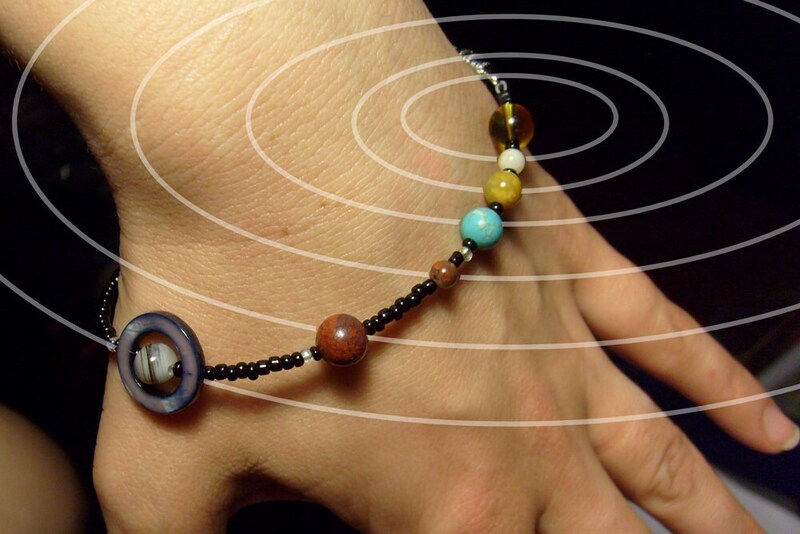 Wear this beautiful Map of the Solar System and show off your love of Space and the Planets. 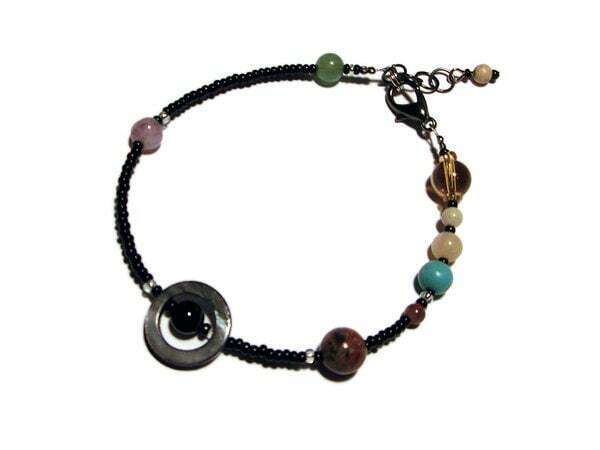 This special version of our classic MiniVerse bracelet features the popular and controversial dwarf planet Pluto as a charm on the end of the adjustable fastening chain! according to its' distance from the Sun. 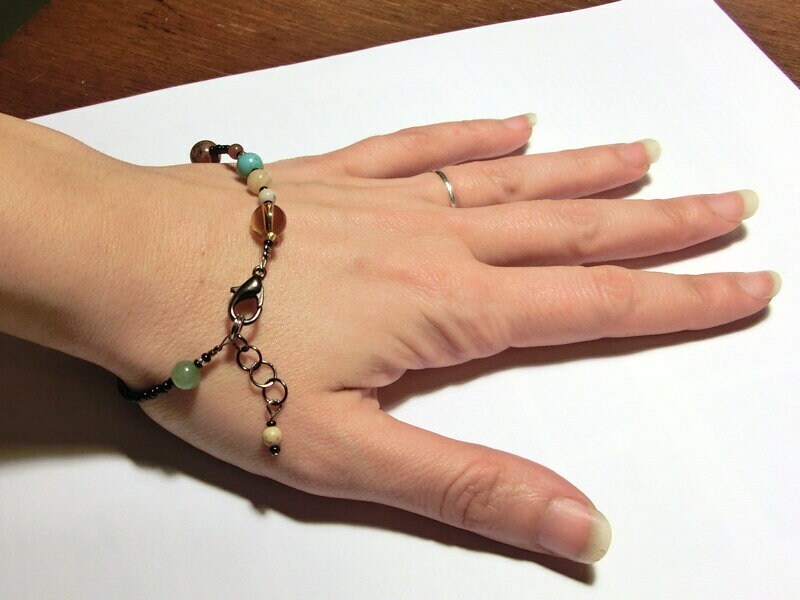 including the measurement key and a list of the gemstones. 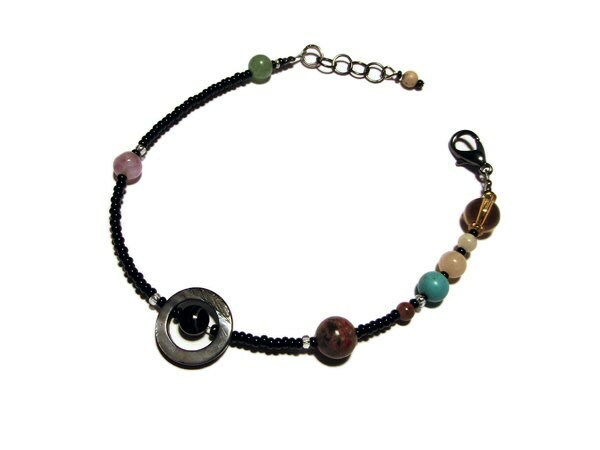 Beautiful Gemstones and Mother-of-Pearl beads represent each planet, including the Sun, Mercury, Venus, Earth, Mars, Jupiter, Saturn, Uranus, Neptune, and Pluto, of course! Handmade in Boulder Creek, California. We are a small, 2-person shop and we make everything ourselves. Our goal is to design and make beautiful intelligent jewelry pieces, and create unique ideas we've never seen before. Please visit our shop for the matching MiniVerse Necklace and other Solar System Jewelry. It looks amazing! My daughter loves it. Thanks! A beautiful piece of jewelry. Bought it for my aunt, but considering getting something for myself as well! It's so unique and obviously well made. I absolutely LOVE this bracelet!! It is beautifully constructed & designed. My favorite part is telling people about Pluto!